FAIR estimates that in 2007 the illegal immigrant population is above 13 million persons. Government and academic estimates indicate that as of 2006 there were 11 to 12 million illegal immigrants living in the United States. The Center for Immigration Studies estimated the illegal immigrant population at 10 million as of November 2004. It is difficult to have an exact figure because the illegal nature of their presence prevents any enumeration, but the U.S. Census Bureau estimated 8.7 million illegal immigrants were here in 2000, and immigration officials estimate that the illegal immigrant population grows by as many as 500,000 every year. The estimate by the Immigration and Naturalization Service (INS) issued in February 2003 put the number of resident illega immigrants at seven million (as of Jan. 2000), 4.8 million of whom were Mexican and 2.2 million of whom resided in California. That estimate included the annual rate of increase in the illegal immigrant population — 350,000 with 73,200 (31.6%) of that annual increase taking up residence in California. So, by 2003, the illegal immigrant population would have increased to over eight million. The method by which the INS arrived at this estimate was based on data collected as a result of the 1986 amnesty and then relied on Census data and INS legal immigration data and airline arrival/departure records for updating the estimate. The estimate included only immigrants who continued to reside illegally in the United States for more than one year. 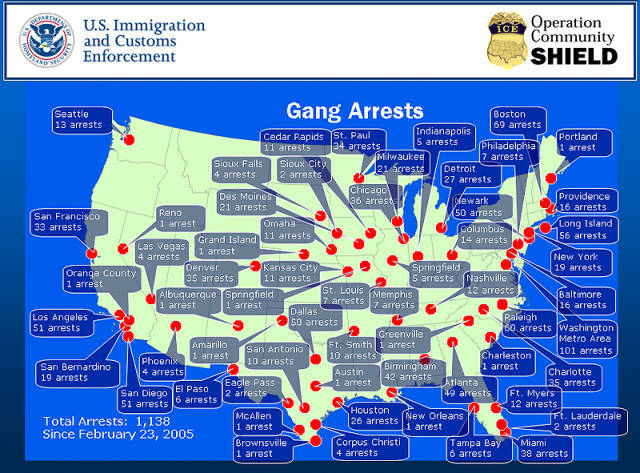 Left out of the estimate were immigrants doing seasonal work illegally in the United States and all immigrants during the first year of overstaying the terms of an authorized nonimmigrant entry, as well groups of illegal immigrant residents who were issued work permits under programs such as Temporary Protected Status (TPS). The 2000 Census, like all previous censuses, made no attempt to determine the immigration status of foreign-born residents. Nevertheless, the results of the Census did contribute to a re-evaluation of the size of the illegal immigrant population. Most analysts agree that the illegal immigrant population now numbers more than 10-11 million persons as is shown below. The first estimates that challenged the INS estimates appeared from labor force researchers at Northeastern University.1 They estimated in 2001 that the illegal immigrant population could be as large as 11 million. They later revised that estimate upward to 12 million. The director of the Census Bureau, when asked about the much higher estimate of the illegal immigrant population agreed that the 2000 Census data indicated that the illegal immigrant estimate of the INS was too low, but did not offer a different estimate. In the August 2001 issue of Demography, immigration researchers estimated the current total population of illegal immigrants at 7.1 million, of whom 3.9 million were Mexicans. Also in August, a demographer at the Urban Institute issued an estimate that the illegal immigrant population was 8.5 million, with 4.5 million of them being Mexican. The Census Bureau issued an estimate in January 2002 that the illegal immigrant population in 2000 was 8,705,421. That estimate was based on the discrepancy between the number of foreign-born residents and the number of legally admitted immigrants. Included in that number may be immigrants residing in the United States under provisions that preclude their deportation, but who are not legal permanent residents, such as beneficiaries of Section 245(i) petitions, or asylees who have not been in the country long enough for adjustment of status, or Central American beneficiaries of the NACARA legislation. The Census Bureau estimate is preliminary and subject to modification after review of the methodology by interested parties. An independent estimate by analysts of the bear-Stearns investment firm said the illegal immigrant population “…may be as high as 20 million people.“2 This estimate dismisses lower official estimates as being flawed by the non-response of illegal immigrant to census takers. However, this conclusion misses the fact that the official estimates are instead based on a comparison between the growth in the foreign-born population and new legal immigrant arrivals. This allows the trend in the illegal immigrant population to be observed despite non-response in the Census. TIME Magazine in a feature article in 2004 published an estimate of three million illegal immigrants arriving each year.3 However, that estimate was based on a mistaken assumption that a million illegal immigrants are being apprehended each year and three times as many avoid apprehension. The actual number of persons apprehended is considerably lower than one million because the same individual often may be apprehended multiple times during the year. The following table shows estimates of the illegal immigrant population by state by the INS, DHS4 and the Pew Hispanic Center5 as well as the current estimates by FAIR. (Numbers are thousands). Amnesty proposals for granting legal residence to these illegal immigrants take various forms, and the number of proposed beneficiaries vary depending on the proposal. For example, in the 1986 general amnesty, illegal immigrants other than those in agricultural work were eligible only if they had been living in the United States for four years (since 1982). Thus, the nearly three million beneficiaries did not include illegal immigrants who had arrived during the previous four years (unless they presented fraudulent evidence of having arrived earlier, as many of them did). Although the number of illegal immigrants in the country can only be estimated, and it is unclear what form currently proposed amnesty provisions might take, it is safe from the above analysis to conclude that any new amnesty would likely involve as many as four times as many illegal immigrants as benefited from the 1986 amnesty. “Feds Undercount Illegal Aliens,” NewsMax.com, (March 16, 2001). Pew Hispanic Center estimates of the illegal immigration population are stated as a range, e.g., Capfornia 2.5 million to 2.75 million. The chart shows the mid-point of the estimate, e.g. California 2.625 million.